Welcome to the first ever Pages of Fear blog hop. 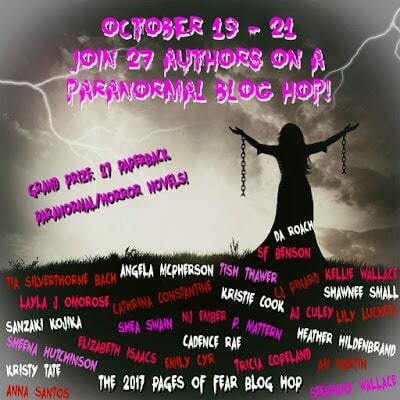 It’s a pre-Halloween event celebrating authors who like to fright and delight with their writing. As you progress through the twenty-eight blogs/websites, you’ll learn about authors you may already know and be introduced to some new ones. Head on over to the next blog, the wonderful Cathrina Constantine. She’s waiting for you! If you’ve stumbled into the middle of our little game, the hop starts here. Come join in the fun!